I've written about the frustrating false-flush tendency of automatic toilets before, but here's a new salvo in the arms race between man and machine: putting toilet paper over the sensor to prevent accidental flushes. This would seem to make sense - until you realize that we're creating a complex adaptation for a device that was designed to adapt to our inability to use a simple system in the first place. 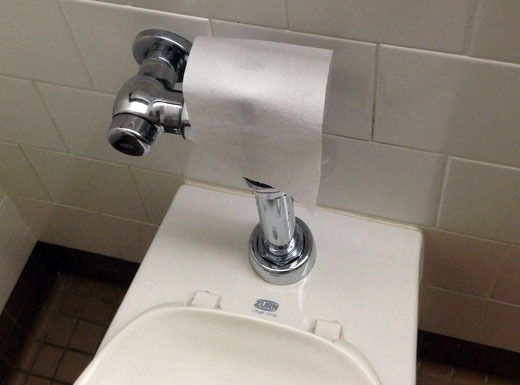 Seriously, when it gets to this point, shouldn't we just be using a manual mechanical flush handle? The usability path has come full circle, and it seems we should have stayed where we started. Good design can happen in airplane seat-back entertainment systems, but usually doesn't - and regardless, those systems add cost to the plane (plus complexity, weight which increases fuel use, and the expense of licensing content). Meanwhile, travelers more frequently carry their own fully capable entertainment systems with them, in the form of tablets and smartphones. 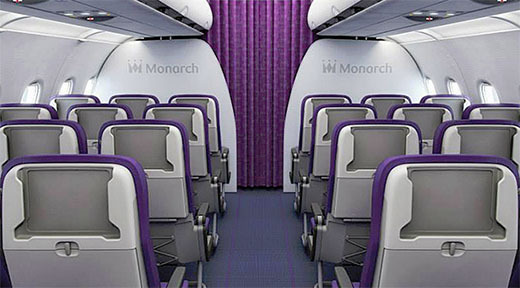 UK carrier Monarch has done the math and opted for tablet holders instead of seat-back systems on their new lower-cost seats. It remains to be seen just how "universal" these holders are - from the photo, it looks like only full-size tablets will work - but the idea is a good one which feels better than DIY alternatives. I'll entertain myself, thanks - you guys just concentrate on flying the plane, and maybe serving up some drinks. Parents are always looking for products that are both (1) indestructible and (2) unable to cause injury when flung at high speed - and "monobody foam" is a manufacturing method / marketing term that can provide both. 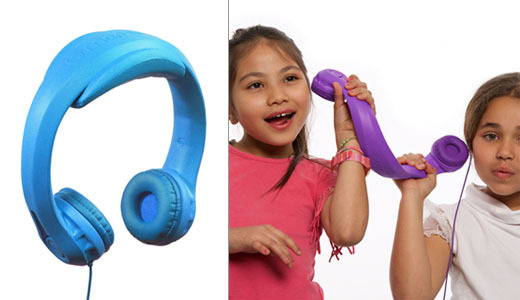 That's why HeadFoams, "the world's first monobody foam headphones," sound like winners to me. It's especially clever to show an image of kids seemingly trying to break these things, and failing. Keep your Beats - my kid will be rocking out Nerf-style!